Cloud Desktop services are steadily increasing with the advent of wide variety of software-as-a-service applications and other cloud services. A trend is cloud marketplaces that categorize a catalog of different services shows an overall portfolio. What this Marketplaces currently still missing is the integration of existing services and applications. This means that you do not need to work on a common data base and as known from many on-premise infrastructure, data and application silos are arising. The problem with the cloud data silos is not just marketplaces. So also the possibilities of integrating CRM SaaS solution with an office suite are advertised. In practice, the implementation is solved rather to the modest. Somehow, the systems are indeed connected. But in the end it works on different systems and it is must to register separately. It lacks the cloud integrating disparate services for work on a common data base. Speaking of interfaces and data integration what means you – we, a long time ago indicated that cloud computing for business can mean the chance to clean up their historically grown standalone solutions. Enterprises with point solutions have now made ? ?it easier to change to a single system from this island of solutions to a cloud service to successively and completely integrated system to obtain multiple cloud services. This is essential, in order to exploit the variety of different cloud services. A crucial point here is the access of the respective cloud services on a common database. This means that any application to a quasi central memory storage, permanently stores its and from there they also needs to call back again. For the Integration Layer, no central data base is persistent but inevitably required. One possibility is also to load the data in real time from the built-in systems. These are then processed and displayed on a uniform surface. For example, can one include any cloud storage, stored on the cloud storages (images, videos or presentations). However, this means that all cloud services that want to be part of this ecosystem need to open their APIs to outside in order to load and store the returned data. Regardless of how the integration is achieved in the individual, the browser is the one face to the customer, it is central to the interface when the user accesses the Internet. We have described before that Desktop-as-a-service (DaaS) are only an intermediate step to the actual final state. Although DaaS provide full working environments including traditional applications via the cloud. However, the DaaS normally runs in the browser. This means, first one starts his/her computer, then the browser to restart the operating system. A company would thus rely on software-as-a-service solutions and DaaS, for the data and application silos. Therefore, the goal is to develop for a sort of cloud proof is to enable the single sign-on to all services in the cloud which can ne accessed under a uniform interface. This is not a new concept and has already been applied. But only on a very basic proprietary services exists. External services should be included here, this approach has failed so far. This cloud can be either a public cloud service or stand by private cloud solution. The private cloud solution would have the advantage that the IT departments can use them as a service broker or as a service portal including application firewall for the employees and also get a little control over the business applications. This scenario would mean that an employee logs on to the cloud desktop and all the relevant business applications can be looked. Based on the application of the cloud desktop, he/she is logged directly to all other applications. The softwares should be built as a plugin system with which every company can put together a very personal productivity for own purposes. Through the plugin system different Apps services can be integrated if the API allows. So the data is loaded at runtime and restored after changes or organize the relevant services. It is only important that the data are in a kind of central access. Thus, for example, any cloud storage uses, this will only loaded when needed. 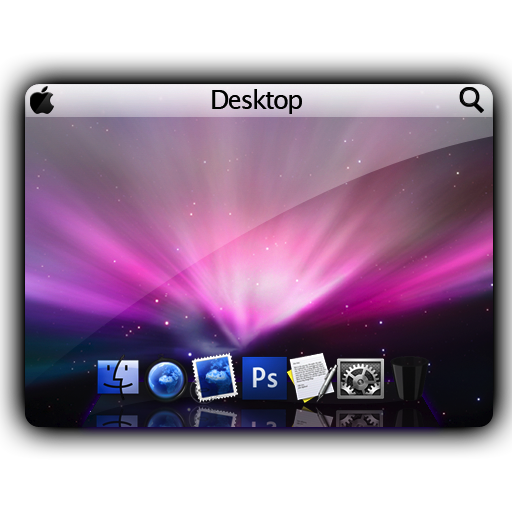 Other way of obtaining Cloud Desktop is to use Server with GUI with VNC softwares. The older ways like eyeOS, made a huge wave initially, but ultimately they are not been accepted widely as being fully another OS dependent. Cite this article as: Abhishek Ghosh, "Cloud Desktop : Browser as Operating System," in The Customize Windows, July 16, 2013, April 26, 2019, https://thecustomizewindows.com/2013/07/cloud-desktop-browser-as-operating-system/.